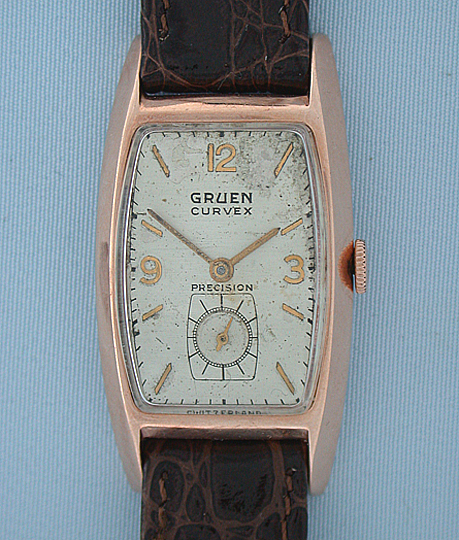 Gruen Curvex large 14K red gold vintage wrist watch circa 1945. Reference 440-450 tonneau curvex with original crown. Original dial with attractive aging (exaggerated in enlarged photo). 17 jewel calibre 440 movement.